Sadbhuja prabhu answers important questions about the metals being used for the TOVP, such as Gold, Titanium Nitrate, Stainless Steel, Bronze, etc. 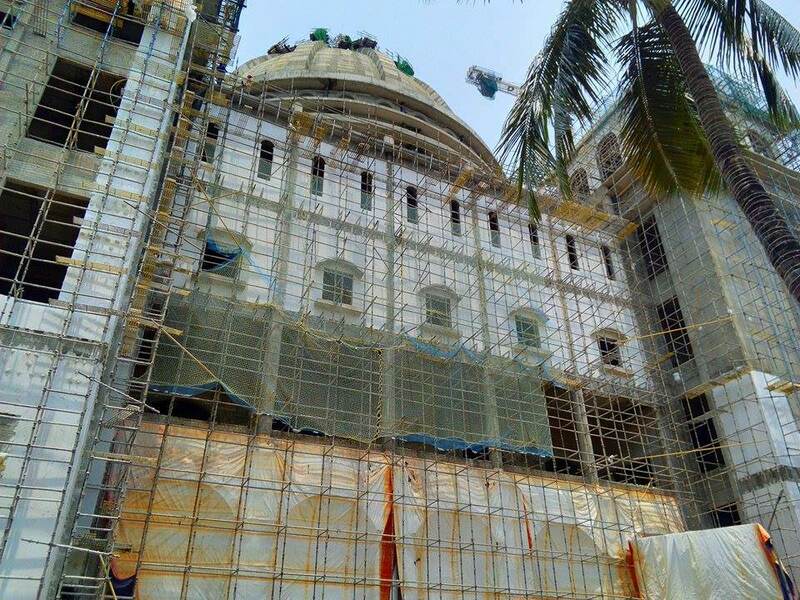 Marble cladding work on the temple exterior and the installation of Rajasthani style sandstone window frames on the higher levels of the structure continues throughout various areas of the TOVP and will soon cover all sections of the temple, floor by floor. 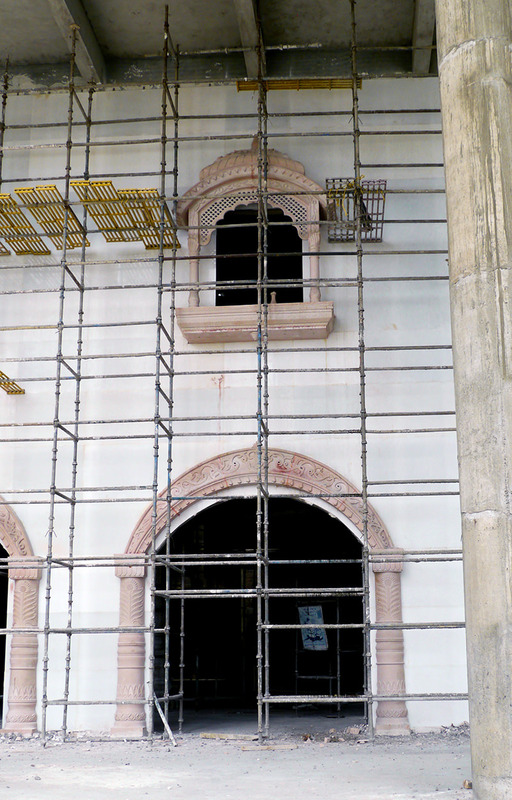 Provided here is a look at one of the completed archways on the front wall before the entrance to the TOVP. 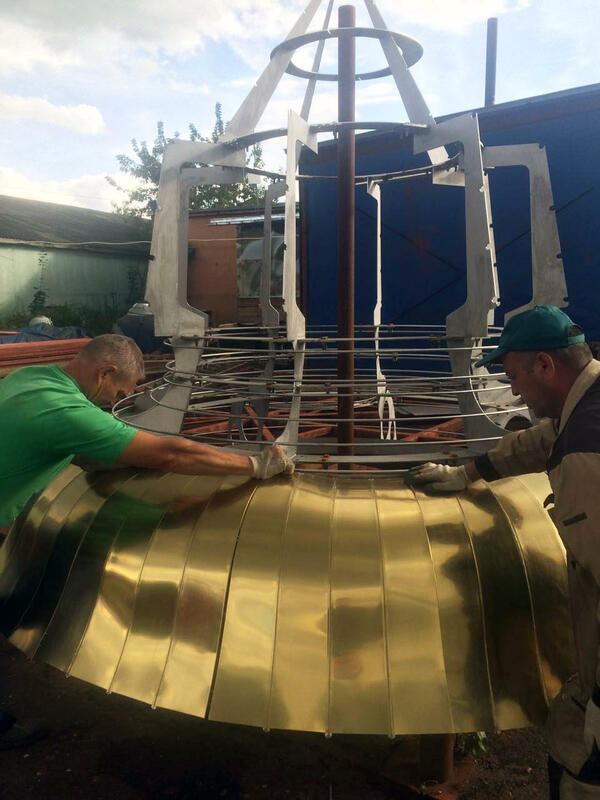 The white marble is fully clad and sandstone arch in place, both ready for polishing. Above the archway is a completed window with its sandstone adornings. The TOVP is a Project intended to cultivate a genuine Vedic Culture. 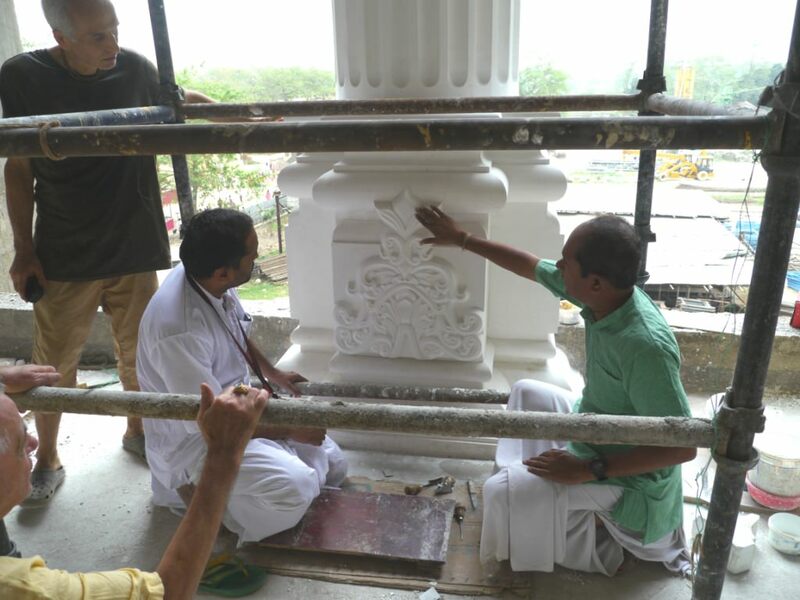 We have designed the TOVP to have traditional Vedic Architectural elements, especially for the top of the Temple. The architecture on the top of the Temple is the symbol of the Divine Weapon and Power of the Supreme Lord.